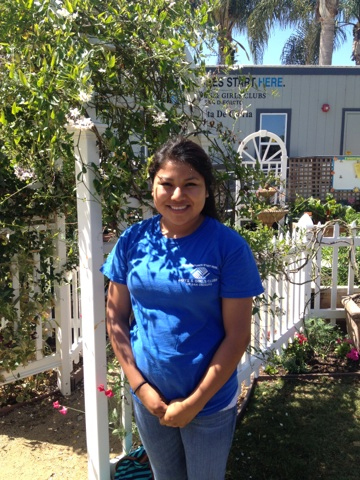 Meliza has been a La Colonia Branch member since the fifth grade and was one of the first teen program members. She has always shown initiative and encouraged other teens to participate in the after school program. Meliza is a hard worker and loves to help others. Anytime there is a need for a volunteer either at the La Colonia or Harper Branch, she is always one of the first to ask how she can help. During the summer she volunteers as an L.I.T (Leader in Training). She is also very involved throughout the year in mentoring younger members, as well as helping with various special events and projects at the branch, . She is very respected and loved by all the staff and teens and is a positive role model for her sisters. Despite English being her second language and the challenges she has faced because of this, she constantly demonstrates that nothing will get in her way. She works very hard in the after school program to complete her assignments, ensure they are done correctly, and turned in on time. She takes full advantage of the support available to her and is never too proud to ask for helping hand. Meliza will be the first in her family to graduate high school and plans to attend college. Her strong will is an inspiration to those around her and proof she will be very successful at anything she put her energy in to.